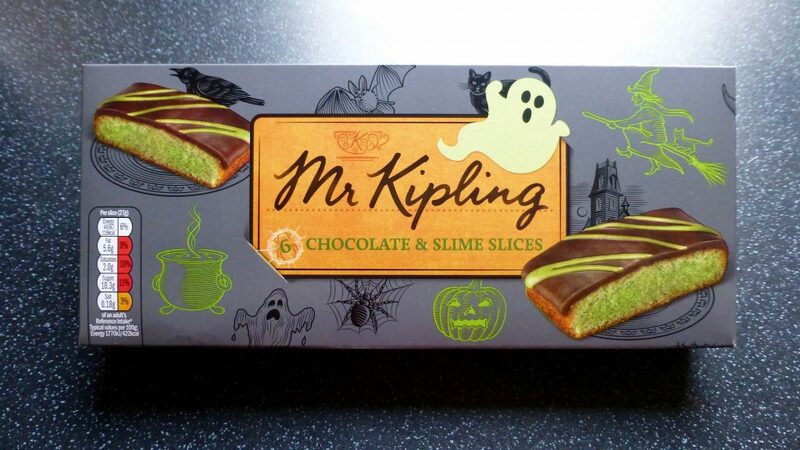 Mr Kipling is the king of cake bars and treats so it is only fair that he has joined in on the ghost and ghouls of Halloween and given us Mr Kipling Chocolate & Slime slices. I certainly love a cheeky Mr Kipling snack so naturally this was going to be on the agenda. With a suitably Halloweenesque box, each is packed with 3 sealed trays each containing two cake slices. I like this idea, a) it stops you eating the whole box, b) there’s no chance of wastage because it has gone stale and c) perfect for on the go. These cost a joyful £1.00 in Waitrose and had a reasonable use by date on them. 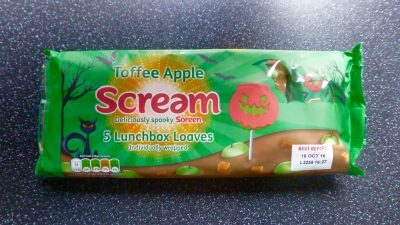 If you only have a few trick-or-treaters or are having a Halloween party then these are pretty perfect. These contain 100% natural flavours no artificial colours or hydrogenated fat, and are suitable for vegetarians. Per slice; 118 kcal, 2g sat fat, 10.3g sugar, 0.3g protein. The cake itself was incredibly light for a packet number and there wasn’t a dry crumb in sight. The sponge was certainly tangy and limey and an interesting choice for a cake. The chocolate layer was thick but the problem was they have used chocolate flavouring and boy can you tell. 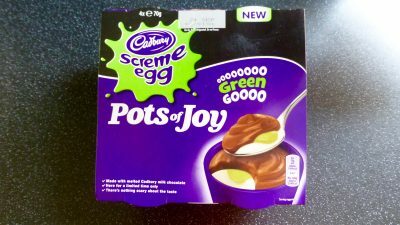 It was very much a wishy washy chocolate flavouring that didn’t exactly complement the lime sponge and was just a bit naff and noncommittal. 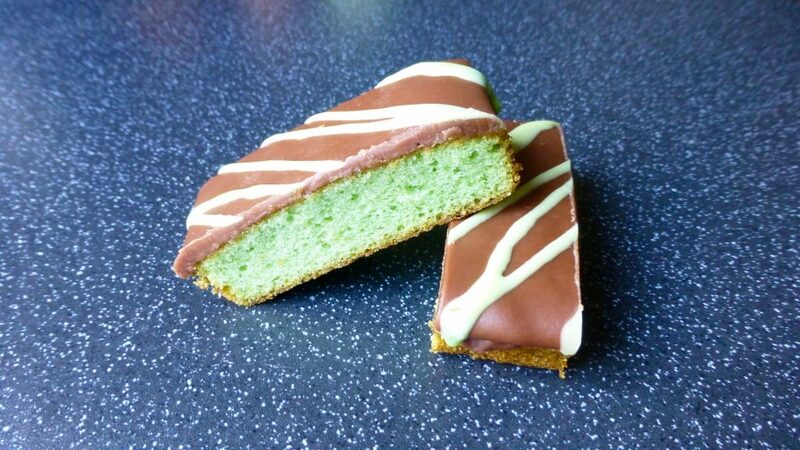 Bit of an oddball here which I assume is the point that Mr Kipling was trying to make with these Chocolate & Slime Slices. They’re not horrendous by any means, my issue lies with the chocolate flavoured topping, why not just use chocolate, it would have made the world of difference and made these pretty delicious. Ho Hum at least they are only a limited edition.